I wrote this post for the Kids New West blog, as a part of the Ambassador program. It was published under the title of Keeping Memories Alive. 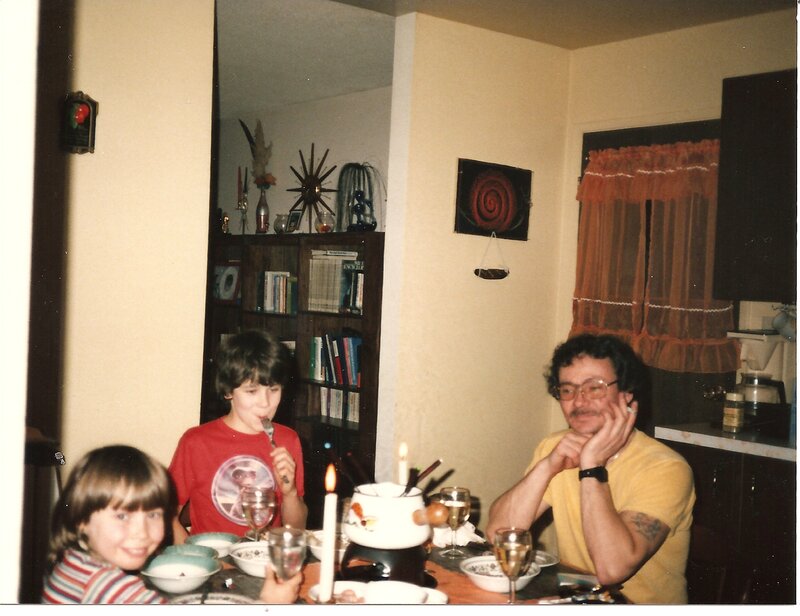 Here on the Arbolog I’ve talked about my dad a few times, so today marks his anniversary and I thought I’d republish this post here. Also, today also marks Mooki’s 16th birthday, the old fart. My dad passed away nine years ago today. He was 62. He died from complications of prostate cancer that had metastasized to various parts of his body including his organs and bones. He had been given 18 months to live when he got his terminal diagnosis, and spent that 18 months making amends and enjoying life while managing the pain from his cancer. His last months, we were emotionally the closest we had probably ever been since I was a young child. My parents had divorced early on and my dad struggled with alcoholism his whole life. I’m sad he wasn’t around to give me away at my wedding and wasn’t there to meet his first grandson but I am so glad that we had repaired our relationship before he died. Before he passed, he and I talked about keeping his memory alive should I one day have a child. Here’s three ideas that Dad and I talked about about and that I do, to make sure my son knows who his Grandpa was. 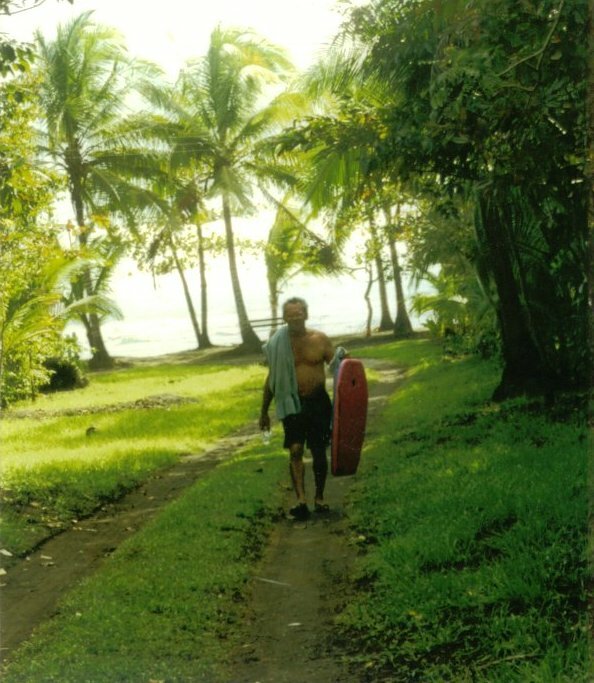 Dad when he lived in Costa Rica for a few years before his diagnosis. Oh man did he love it there. Lots of them. Digital storage is cheap as all get out these days. Take photos as much as you can, of you and your loved ones in the photo together. Print the good ones. Put them in a book, or at the very least, a box. Holding a physical photo is so much better than scrolling through a screen. Make time to go through them in regular intervals. If you’re tech savvy you can also spend time tagging and categorizing your pictures in your picture managing software so that you can look them up based on date, location, who was in the photo, or special words like “camping”. I was late on the draw on this one, but my mom still has boxes of old prints that the scanning of are on my list of projects for the winter. Sometimes Kale and I do things together that remind me of my dad. Hiking, camping, fishing, boating, spending time in the forest – they all remind me of special camping trips or times with Dad. I don’t keep these to myself. When we’re doing something and I’m reminded of my dad, I tell Kale the story. He asks questions, and sometimes it’s hard to tell the story or I don’t remember all the details, but tell the stories makes my dad an actual person to Kale, and not an image. I try not to sugar coat things, but I do downplay or omit things that are hard for a nearly-seven year old to understand. I want the bigger picture to be the memory, not nitpicked details. I try and tell him the funny stories that are uniquely my dad. Sharing a moment a few weeks before he died. He had been making jokes about the food in palliative care. He has black eyes because he slipped and fell a few days before this. My dad’s life has been a useful teaching tool for Kale for us. We talk about very hard concepts like cancer, death, or divorce when they’ve come up using Dad as a central figure to give Kale context. Because we incorporate the good memories and the bad, and because Dad is a real person rather than an image in a photograph to Kale, we can explain hard concepts like cancer without being too scary. My dad has always been dead, and it is a tough concept for kids to understand step parents and adoptive parents and bio parents; my Dad helps us teach Kale. I am an atheist, so it was important to have some tools at the ready to explain concepts without involving God. Do you need some resources for teaching your child about death and keeping the memories alive? Here are a few I’ve collected over the past little while. Caitlyn Doughty, a mortician in the US who operates The Order of the Good Death, who advocates for the normalization of various death rituals, in a great interview about the subject. She also lists a few books in the interview and does a video post about it (and she has some really wonderful videos for everyone in general including pet death, talking to your parents about death, and others. Mr Rogers on talking to children about tragedy and death (two separate links). I found this advice from Parenting Beyond Belief (great blog and great book, btw) about talking to kids about death as a secular parent to be helpful. Another post from the author of Relax, It’s Just God: How and Why to Talk to Your Kids About Religion on the 12 Mistakes Parents Make When Talking About Death. Jen, I just want to say I really appreciate the way you write about family. I know that there probably were some very hard years there with your dad, but you have a way of honouring and respecting his memory and at the same time honouring yourself that I find a breath of fresh air. You challenge me to change they way I think and talk about my own family situation. Thanks! Thanks Rebecca! Above all, I feel like families deserve honesty.Even if that means admitting taboo subjects. I also find it helps me to come to terms with it. My dad when I was a kid is not all bad – he was lots of fun, and tried to be a good dad (though he had mixed results there! ), and when push came to shove, he was available. Dad had his own demons and I have to respect that. Space and time since his death has given me some clarity. Jen, thank you for writing so honestly. 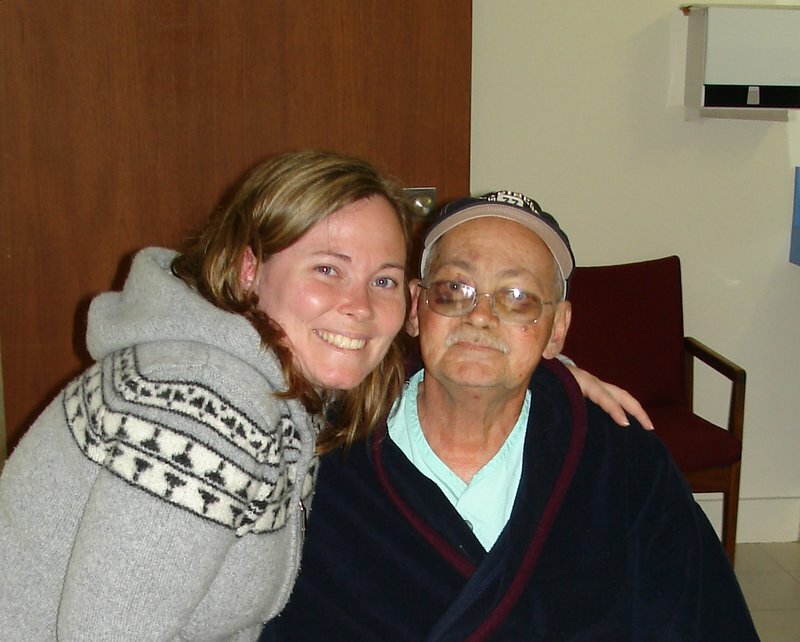 It’s hard to lose one’s dad – I lost mine in 2006 to the same cancer that took yours. My kids had the blessing of knowing their grandpa, but now at some important transitions in their lives (graduation, marriage), they miss him. He was quite upset that he wasn’t going to live long enough to see them get a good start in life. I promised him that our kids would always know he loved them and was cheering for them. I do believe in God (which I’m sure you know from working with Kathleen), so we had some different conversations with our kids about the future, purpose and the meaning of life. You are right – death is not something to fear and our kids are better off if it isn’t a taboo subject. You are an excellent blogger and I appreciate your thoughtful approach to life and writing. Thanks Grant. Regardless of faith or belief, open and honest conversation that cherish those who have passed are always the right approach. Whether that is honest in how you interpret the Bible or other scriptures or honest in a non faith based explanation.